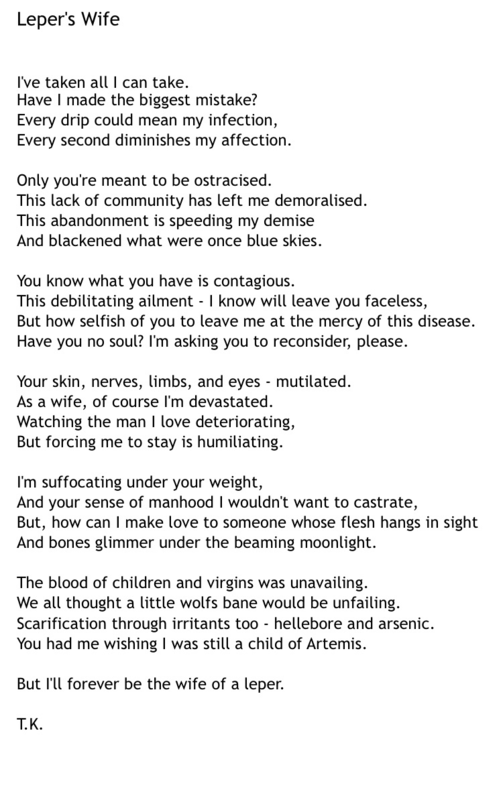 I took inspiration from Carol Ann Duffy’s collection of poems entitled The World’s Wife (1999), and imitated her style of writing and wrote a poem that could easily have been included in the collection due to its subject matter and stylistic composition. 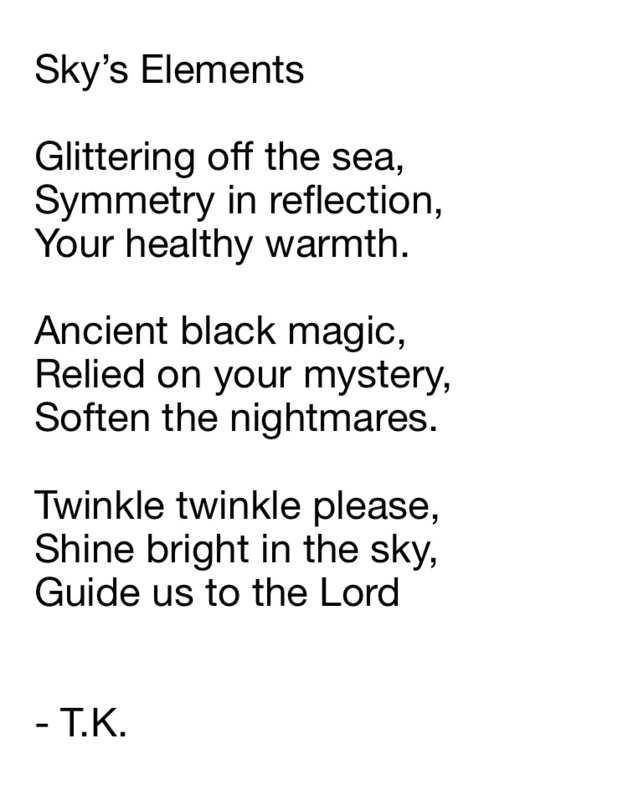 I followed an (AABB) rhyme scheme and used six quatrains, ending the poem with a single line. I researched the negative, and terrifying stigmas and tales attached to leprosy, as well as the genuine facts surrounding the disease. I also researched treatment methods that can be dated from the Middle Ages to Ancient Egypt, and Ancient China, all of which I make reference to. By referencing all these myths, and treatments the boundaries of time and cultures are blurred, making it impossible to pin-point the specific time period that the speaker is currently living in. This can be seen as a form of anachronism – much like Shakespeare’s placement of a clock within his play Julius Caesar. Hell A Place On Earth? Much like the poem I did in the last post – I wrote three haiku poems and put them together to create just one poem. This one deals with the concept of heaven, purgatory, and hell. I am not going to assume one knows what a haiku is. A haiku poem is a short traditional Japanese poem that consists of 17 syllables in total and is usually split into 3 sentences of 5, 7, and 5 syllables consecutively. What I decided to do was write three haiku poems and then put them together to create one poem. The theme of this three haiku poem is that of the sun, moon, and stars. 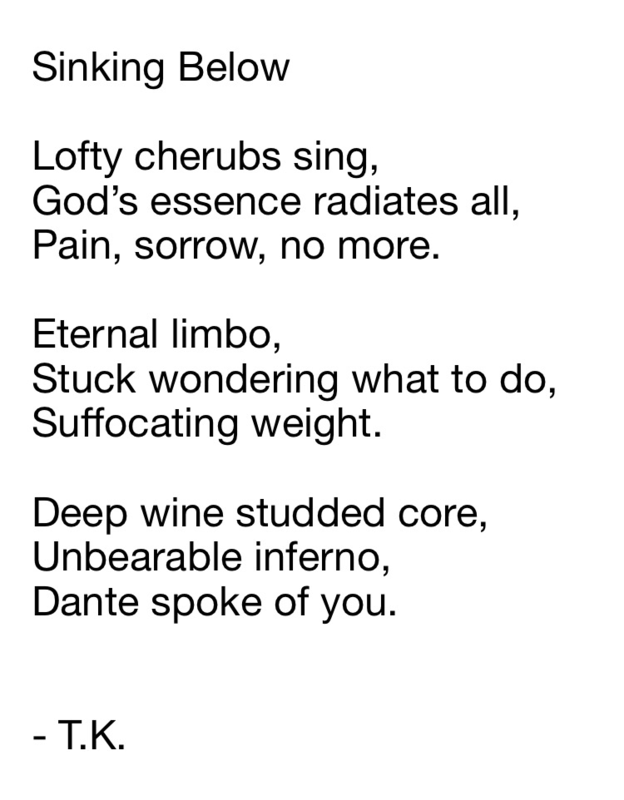 It was ever so helpful and very therapeutic doing the ‘antimony poem’ the other day, so I decided another one must be done. 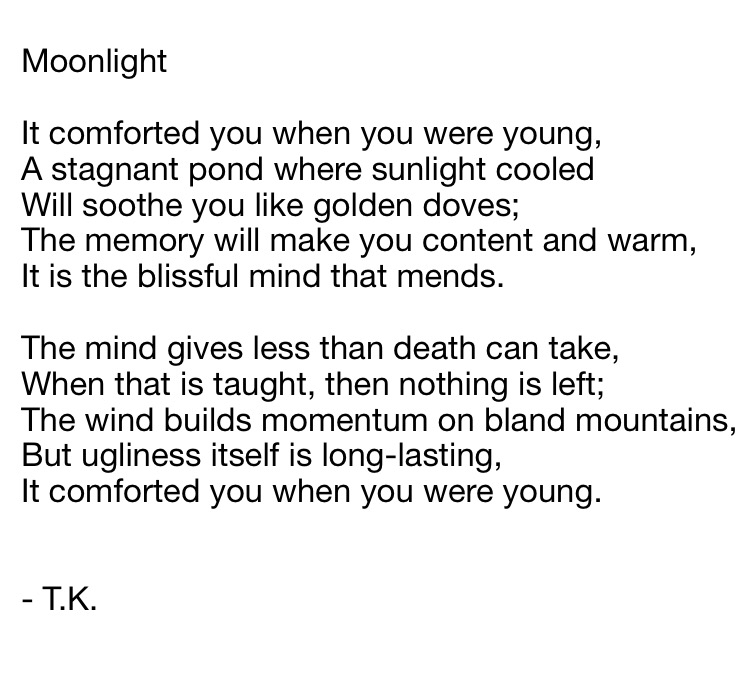 For this poem I looked at Sara Teasdale’s poem Moonlight. It’s ever so fun to compare her poem and the one I wrote in homage to hers. Compare the differences and do get back to me as to what you think.